A shoe shop in Fgura has been broken into twice in one month by what appears to be the exact same thief. 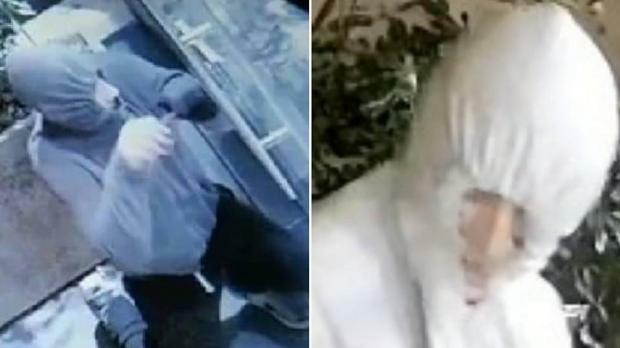 The hoodie-wearing criminal, who sports a distinctly sizeable nose, first forced his way into the Tata Italia store on Żabbar road around three weeks ago. On Saturday night, he returned. The shop's CCTV cameras captured the man stroll past the shop at just after 1.30am, glancing at it as he walked by. He stopped a couple of doors down and sat down on the ground there, behind a tree, to prepare his attack. Ten minutes later, he returned to the shoe store with intent. He walked right up to the shop door and tried to force it open using a metal rod, while peering anxiously around him to check for passers-by. As cars approached, he crouched behind a row of planters and then resumed his break-in attempt when the coast was clear. After well over a minute of prodding and pushing, the lock finally gave way and the thief was in. Twenty seconds later, he was back out again and running away. “There was no money in the till,” shop owner Graziella Galdes told Times of Malta. “The first time round he got €70, but this time he got nothing”. The shoe shop is believed to be one of several stores in the area targeted by burglars in recent months, and Ms Galdes said residents and business owners are now living in fear that they would be targeted next. “A wave of robbery is sweeping through Paola and Fgura,” she warned. “We need more protection”. With CCTV and an alarm system seemingly not enough to deter criminals, Ms Galdes said she now has no option other than to install a steel shutter. On Facebook, Ms Galdes struck a defiant tone. “I swear that before I find you I won’t rest. If I follow all the CCTVs in Żabbar Road it will lead me somewhere. We are in Malta not New York,” she wrote, addressing the thief. “If the police want to get you they can, if they won’t…. I will”. Do you have information about this crime? Contact the police on 112.